Our range of products include departmental racks, covered display racks, metal crockery shelves, mall storage racks, wooden supermarket racks and commercial shelving storage racks. 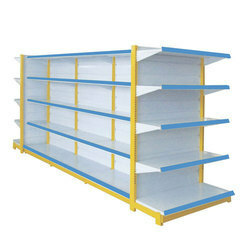 Departmental Racksoffered can be offered in different size options as demanded from us. 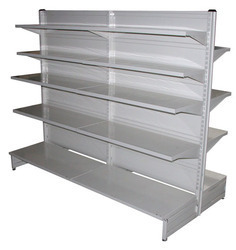 Under precious guidance of our professionals, we are involved in offering a premium quality Covered Display Rack that are mainly used in shops and supermarkets. The offered racks are designed under the supervision of our highly experienced designers using modern tools & machines. Our offered racks have gained exceptional value in the market for featuring variegated attributes. Available in various designs and sizes, the offered racks can be availed by our clients' at reasonable price. Our Metal Crockery Shelves are very well known in the market for their quality and performance as these are manufactured under the professionals supervision . 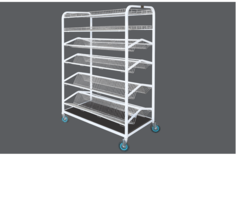 Our Mall Storage Racks are very well known in the market and widely used for the storage system . We are instrumental in offering our customers best and most appreciated collections of Wooden Supermarket Rack. These racks are stylish and most trendy of the lot. They are designed especially to display the fruits and vegetables in correct order in malls. They are clean, hygienic and very spacious too. They are available in many sizes and designs too. They are highly demanded by many customers for its designs, quality and affordable rates. 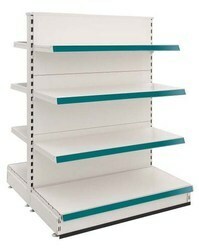 We at Spanco Storage Manufacturers High Quality Commercial Shelving Storage Racks . Offered Shop shelves is arranged in the rack upright frames around the warehouse ceiling. The offered range is precisely manufactured by using top notch material & modern techniques in adherence with the set norms of industry. The offered product is obtainable with us in various specifications to choose from. 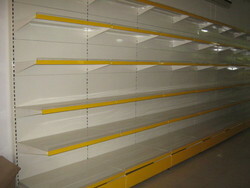 Wall Unit Racks offered by us is widely demanded among the customers owing to their high quality and easy availability. We design and develop our range as per the client’s demand, by giving special instructions to our venders. Racks offered by us are precisely made and provide sufficient space for storing an item. 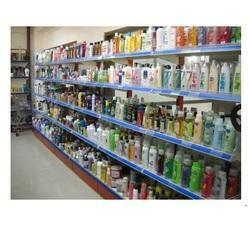 We at Spanco Enterprises manufacturers Rack for supermarket ,These are manufactured under the supervision of experts . With a rich industry experience of this domain, we are able to offer superior quality Steel Shopping Display Rack for retail outlets. 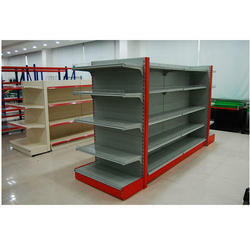 These shelving systems are designed and developed under the close supervision of our experienced professionals, who are aware of the latest technological advancements and changing demands of the industry. Besides, we offer these in various specifications to meet diverse requirements of customers.